﻿ Nelsonville Emporium - Ohio. Find It Here. 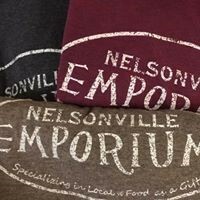 The Nelsonville Emporium specializes in local featuring a retail shop with over 100 local artists and a commercial kitchen and eatery with an eclectic variety of tasty goods. 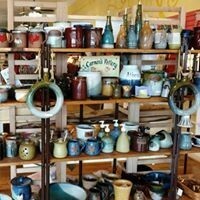 Come see our selection of locally made souvenirs including local art, wine, beer, Starbrick Chocolates, t-shirts and more! Ceramic studio on site. 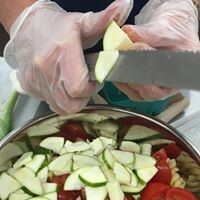 Open seven days a week - Monday - Saturday 10-7 p.m. and Sundays 12-5 p.m. 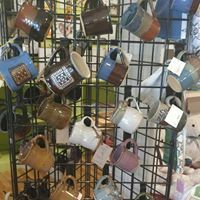 The Nelsonville Emporium is located on the Historic Public Square of Nelsonville near attractions such as the Stuart's Opera House, Rocky Boots and the Hocking Valley Scenic Railway. Come visit soon! Handicap accessible; accepts major credit cards; able to take most larger orders in advance.